The Galilee Foundation is a UK registered charity established in 2007 to support the Palestinian indigenous community living in Israel through educational and cultural initiatives. 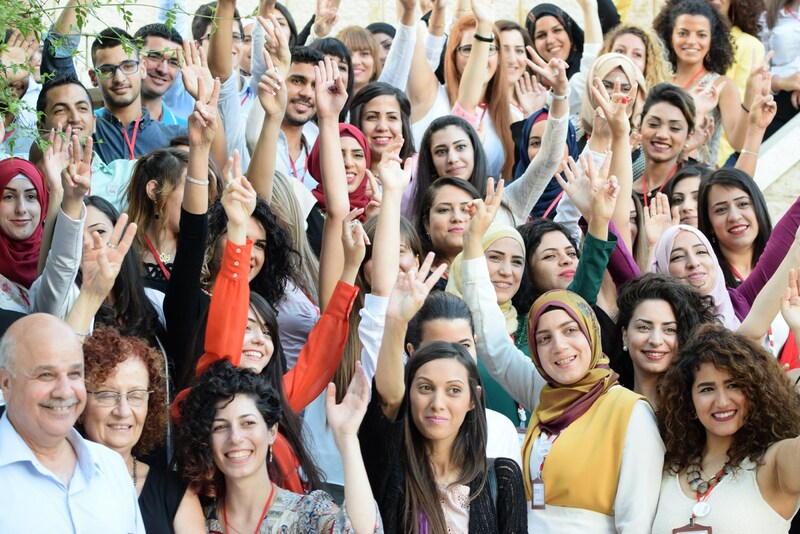 In 2019, thanks to the success of our Scholarship Programme and due to the growing need in the West Bank, we expanded our work to also benefit disadvantaged Palestinian students in the Palestinian Territories. The Galilee Foundation’s vision is to contribute to breaking the cycle of poverty and marginalisation by offering Palestinian youth the opportunities to access higher education in Israel/Palestine and by supporting civil society initiatives with a focus on education. The Scholarship Programme is the Foundation’s core project. It is arguably the largest and most comprehensive independent programme available to Palestinian students in the region. Since its establishment in 2007, we have supported over 1,000 students through training and cultural activities. So far, the Programme has helped over 1,000 Palestinian students attend university and benefit from awareness raising workshops and cultural activities. The Galilee Foundation also supports educational and cultural projects with a focus on Palestinian youth and children who come from disadvantaged backgrounds. You can find out more about the work we do and the projects we support by clicking on “What We Do“.